We loved reading an extract out of Treehorn in class. He has a big problem at school: he is shrinking and he can’t reach the water fountain! But no one wants to listen to him. The teacher sends him to the office, the secretary is too busy to pay attention and the principal only hears what he wants to hear. This made for a lively class discussion about how adults listen to children, or how they sometimes don’t listen to children, but actually should. 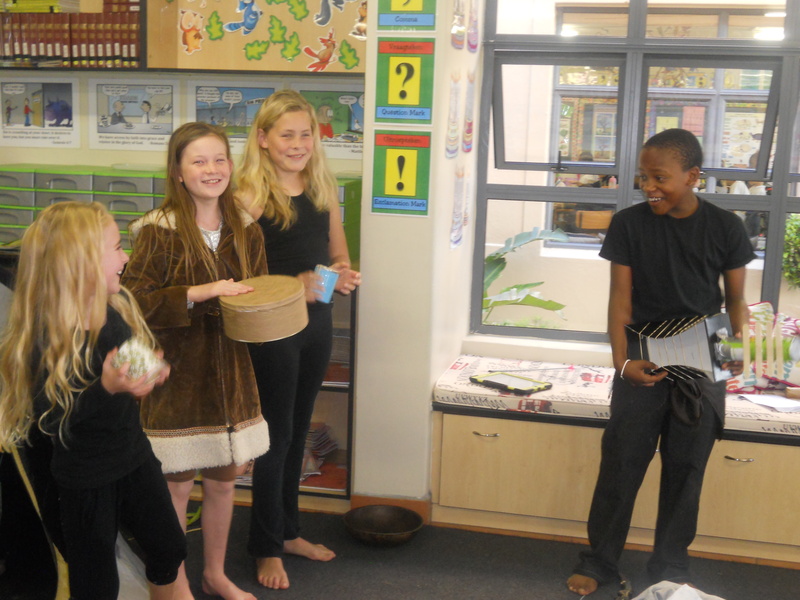 The children presented their own version of the story as a role play. As an extension of our Language exercise on verbs, the children wrote poems describing actions, using powerful verbs. Take a look at some of their examples. We concluded our Integrated Learning Task by giving all of the children the opportunity to report their findings and research to their peers. They continued working in their pairs and they were given 90 minutes to prepare and rehearse a presentation. 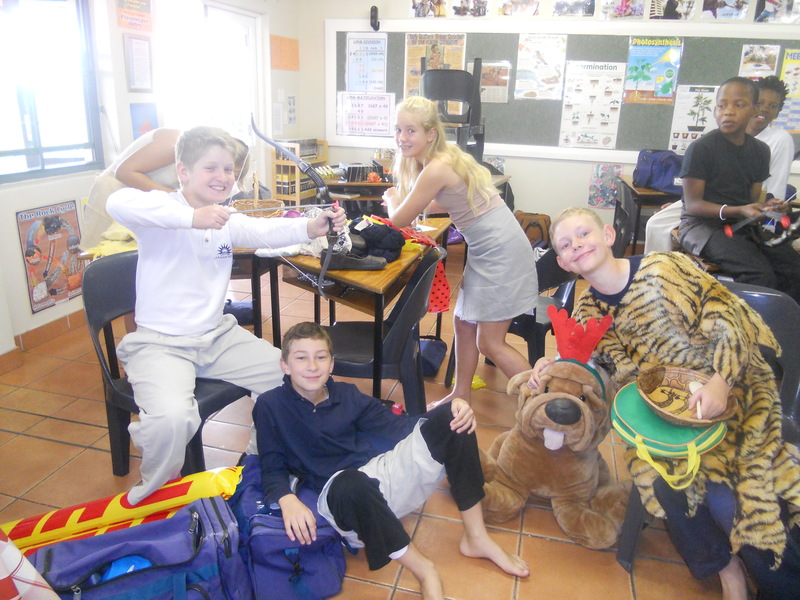 Once again they were encouraged to have a creative approach, so some of them were news reporters, others were presenters on Discovery channel, we had a group of teachers and also a safari with a tour guide out in the African bush. Everyone remained engaged throughout the presentations and it was a worthwhile learning experience. I am happy to show off a few of our presenters. Leading up to our Integrated Learning Task, the Grade 5’s researched a soil creature of their choice that lives in Africa. During the ILT their research was written into their own words and used to create an informative poster. We asked the children to provide the scientific name for their creature and to discuss their appearance, habitat, diet and some interesting facts. The children worked in pairs for this task. They were encouraged to be creative and to make use of relevant pictures. The following were put to the test: Their ability to follow instructions, work independently, make decisions, plan, manage their time, deal with conflict, compromise and … of course … clean up! They enjoyed being allowed to express themselves by creating final products that they were all very proud of. Below you can see how busy they were making their posters. They finally all completed their posters. Take a look at their handiwork. Four weeks to go and we will be ‘downing tools’ and heading off on holiday again. 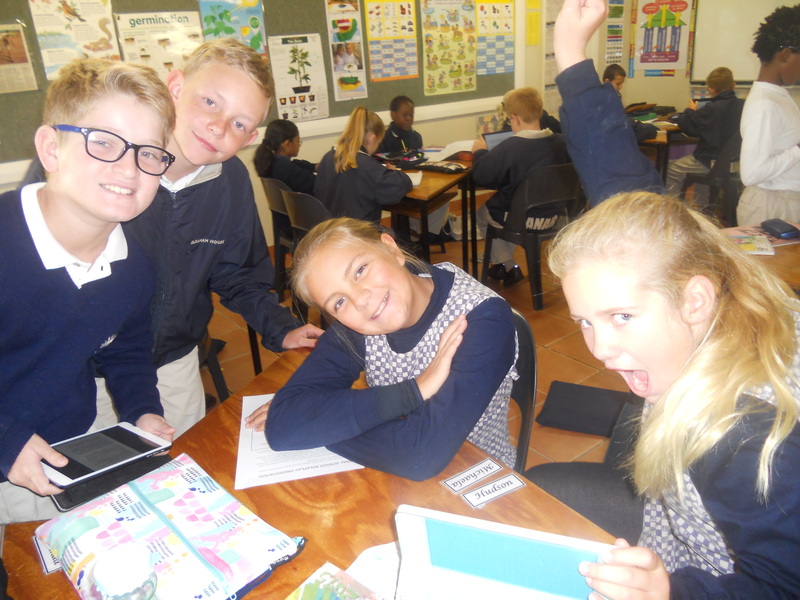 It is worth mentioning that the true pace of Grade 5 has reared it’s head this week, and we have increased our pace and expected a little more from the children. 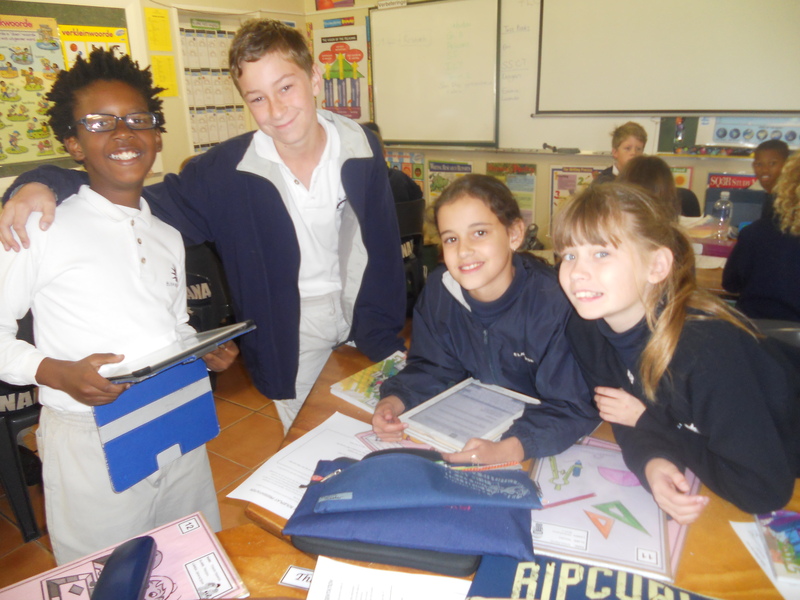 It is interesting to see them accept the challenge and engage after a few short weeks back at school. I have included a pic of our Friendship day as I just love group shots, and I enjoy teaching the children and having discussions with them about being part of a group. I think it is a good time to explain how we are working together as a team to make this year a happy place in the Penguin class. As far as the academics are concerned, Natural Science has kept the children busy over the past week. The children created beautiful mind maps during their soil erosion lesson and we highlighted pointers around making an effective mind map. This was after discussions and teaching during our Life Orientation lesson relating to our MEMORY and tips on how to improve your memory. It is most beneficial to interact and collaborate between various subjects in this way. The children have also been working in their allocated pairs in order to do research on African Soil Creatures in preparation for their ILT (Integrated learning task) next week. We look forward to some interesting presentations next week. I popped in to the Penguin Tech lesson a week or so ago and found them battling away at trying to master the skill of joining wires together. Mr B has done a sterling job by standing in for Mrs Louw while she has been away on leave. I enjoyed the cheerful banter between the children while tackling their tricky, yet stimulating task. It has been Mapwork all the way during our Social Science lessons, and we have been flitting between atlases and Google Earth/ Goole Maps in order to bring political and physical maps alive to the children. Exploring in an atlas,with no time constraints,is a child’s delight -especially when they manage to master the skills of reading the grids correctly. Finding Mount Kenya brings cries of joy and discovering 3D videos of Mount Kilamanjaro is enthralling for most- Sebabatso was the star of the day in this regard. On a much lighter note….. We have been brought great joy at school, both students and teachers, by our tasty, delicious and healthy mobile tuck shop. Nicky and her team offer wonderful goodies to keep those hunger pains at bay. The children can certainly benefit from this wonderful introduction to our school. I also managed to catch this positive glimpse of my girls, reading on our couch, in between lessons this week. It is superb to see them embrace books and be excited about filling in their book review slips in order to gain classroom merits. Long may this passion last!!!! Our congratulations went out to Oliver Whitehead and Calum Marriott on Friday when they were presented with their U12 cricket caps in Assembly. There was much cheering among their peers to show their excitement for them. Here’s to an eventful and pleasurable last 4 weeks of the term. This week we have enjoyed learning while playing games and practical investigation. 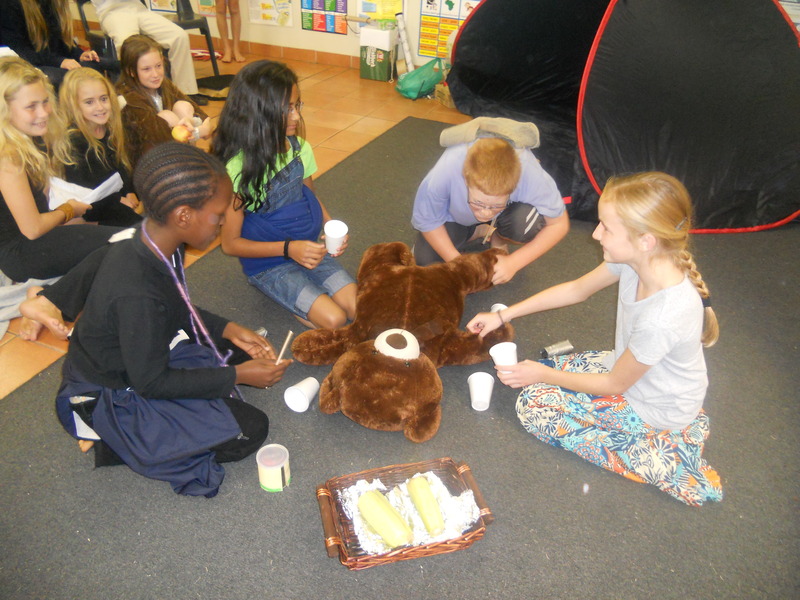 We played the memory game in our Afrikaans period to help learn the meaning and translation of our vraagwoorde. During Maths our adding and subtracting skills were tested with The Checkerboard Race game. It was a race to the end with the highest scores. A white board came in handy for the working out our calculations. NS had us investigating different types of soil. 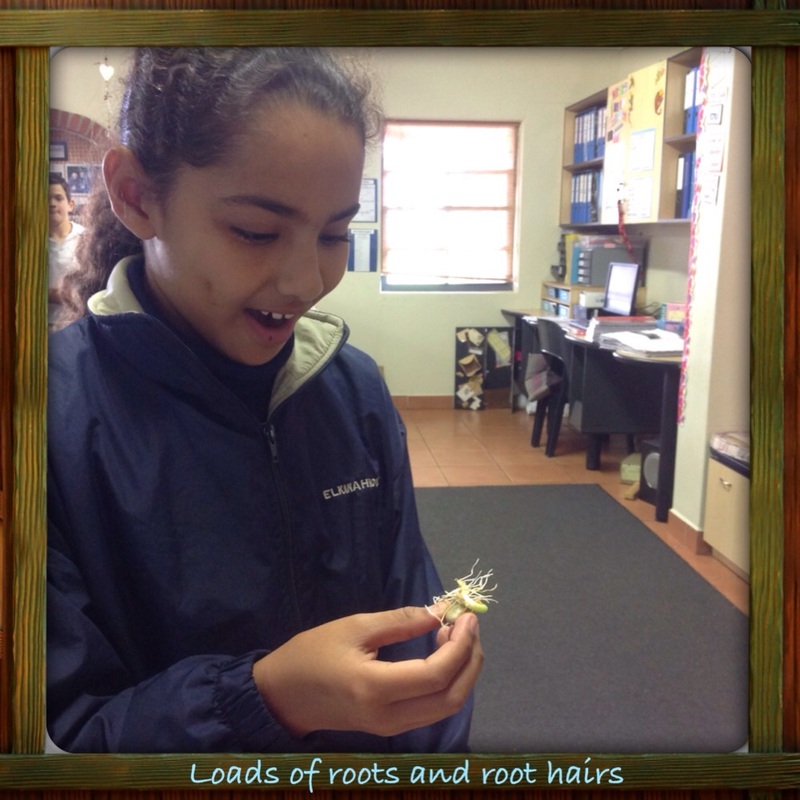 It was interesting seeing the different types of soil we have in our gardens at home. Then we got to start some research and discover what soil creatures live in the soil in Africa apart from the common critters. Our iPads came in handy for this task. When the heat got too much for us what better than to take a cool off swim in the pool with friends. What better way to end off the week with Friendship day dressed in our red, white and pink. Today was such a special day at school. The children eagerly started school with their new teachers and in their new classes. For the Grade 5’s it means that they are no longer the “babies” of our campus. When looking at them, one can see that they are a group of adventurous children who love to explore and are excited about life and about coming to school. In order for us to fulfill the wonderful plans that God has for our lives, we need to move forward with positive labels. After all, what God thinks of us is far more important than man’s opinion. Taking time to enjoy … Breakfast! 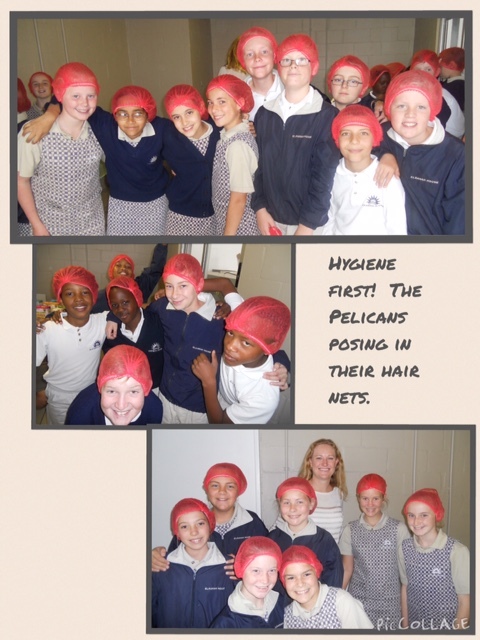 The Pelicans were fortunate to visit Froozels Food Products in Montague Gardens last week. 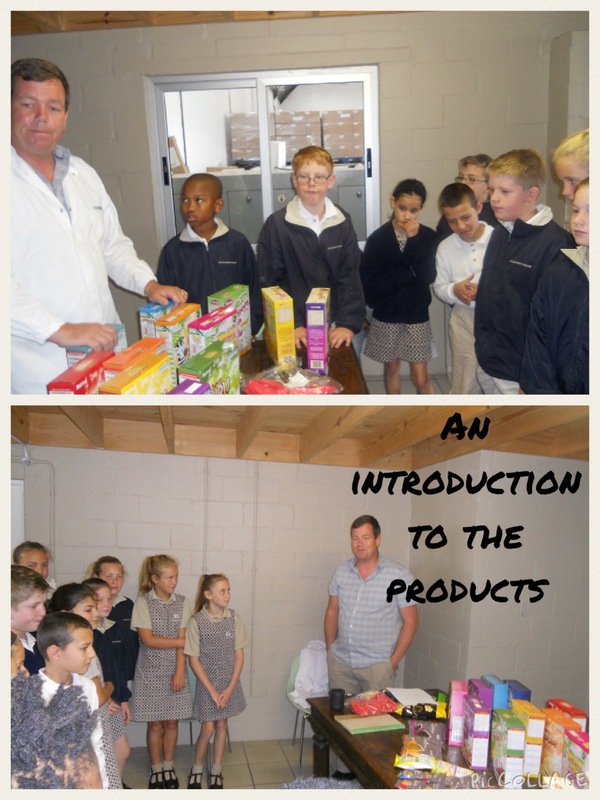 We had a tour of the warehouse and factory and we witnessed firsthand how cereals and snacks are produced, from the raw ingredients to the packaging stage, ready for the shelves in the supermarket. Seeing the staff and the equipment in action was an interesting experience. 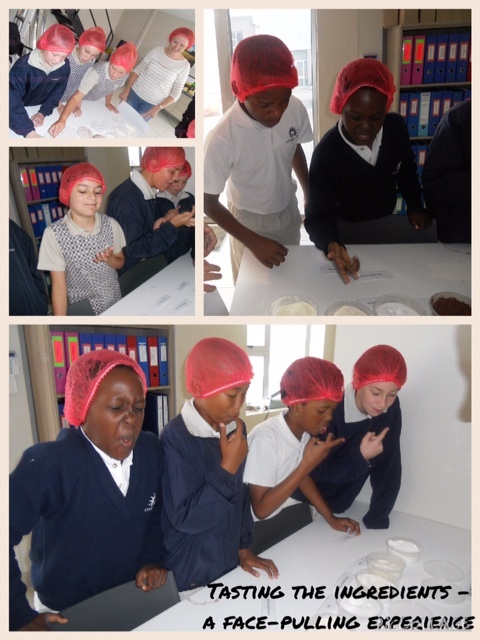 The children had a tasting competition of the raw ingredients and had to label them correctly, just by tasting them. One group managed to achieve 100%. 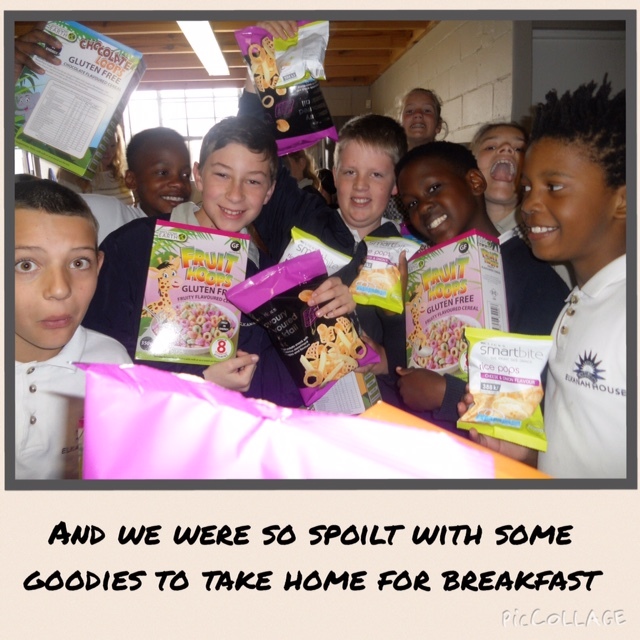 We were all blessed with some snacks and cereals to take home, although there was a lot of tasting and swapping happening when we returned to school. 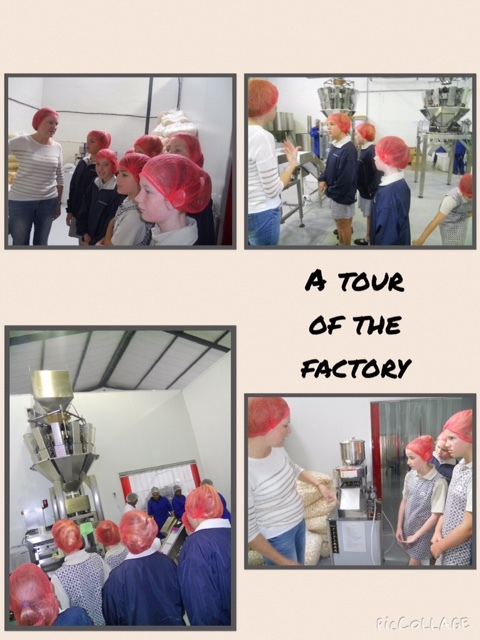 It was a great learning opportunity, to see what goes into producing a product that is so easily just added to our trolleys and poured into our bowls every morning before leaving home. 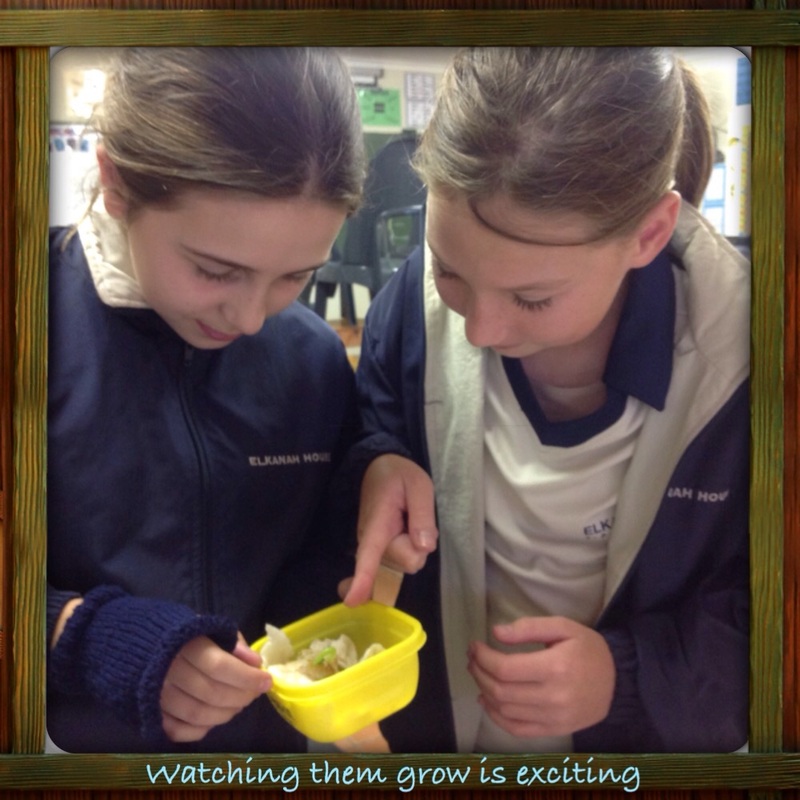 It’s that time of the year agin when the Grade 5’s try out their green fingers… They have loved growing their beans at school and an atmosphere of excitement is evident when they are checking the progress of their beans. 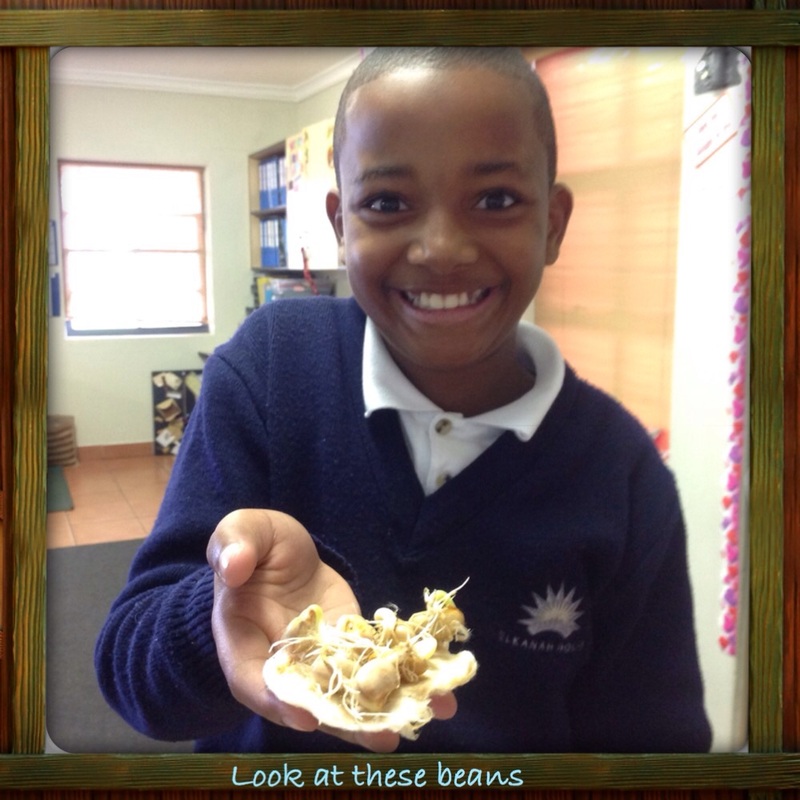 It almost becomes a competition to see who’s bean will grow the fastest. Patience is not one our strengths when it comes to watching them grow. 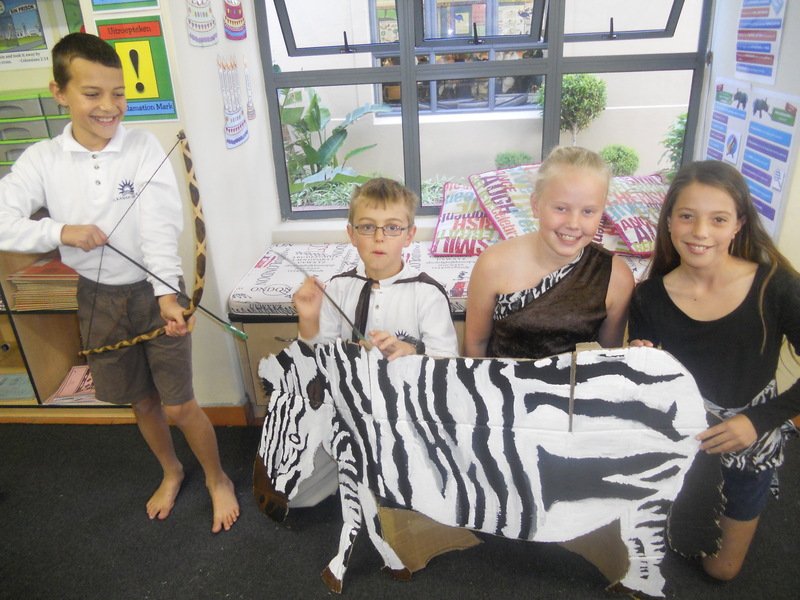 As part of our Integrated Learning Task this term, the children researched the San, Khoi and African Farmers’ lifestyles. Each group researched one of the people groups and then they had to write a script, using their facts. 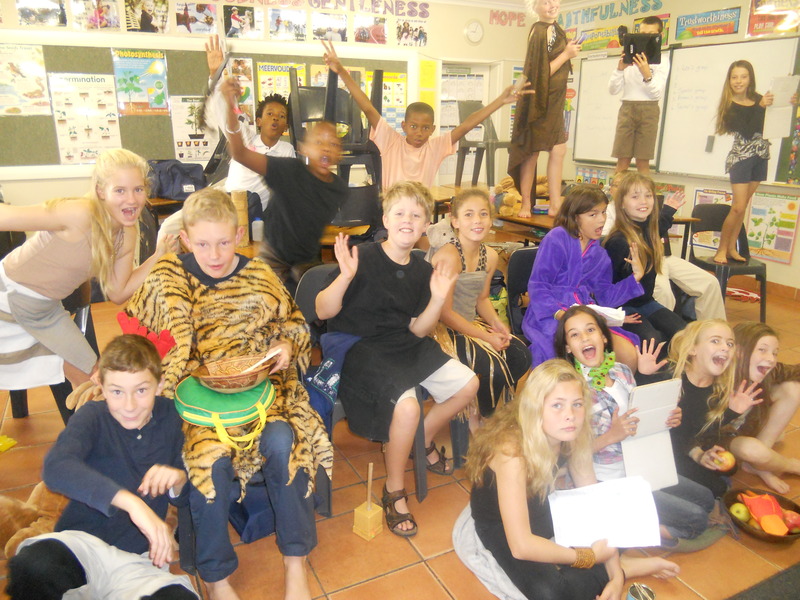 The information was then presented to the rest of the class in the form of a play.